Take a look outside. If the view of your backyard still consists of a few lounge chairs, a table and a dusty patio umbrella, it’s time to consider a serious upgrade. With an investment in lighting, patio furniture and planters, you could significantly expand your outdoor living space — just in time for the next season of warm temps. Whether your property is on a zero lot or on several acres, these deck and patio decorating ideas will elevate your outdoor living space into a welcoming destination for your friends and family. Take a look at our list of 11 great deck and patio decorating ideas to serve as inspiration for your next patio upgrade. When you want to quickly transform your exterior spaces, start with outdoor furniture. It can serve as the foundation for more living space without the need for a major renovation or landscaping project. 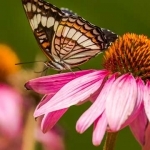 And, in case you haven’t been paying attention to the latest trends in outdoor furnishings, you can enjoy furnishings that are just as plush and stylish as your indoor furnishings. 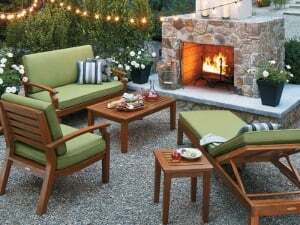 Take a look at these 5 patio furniture ideas for a more comfortable place to relax. 1. Indoor design, outdoor resistant. If floral patterns and wrought iron surfaces aren’t your thing indoors, there’s no need to settle for anything different in your outdoor living spaces. No matter your design aesthetic, you can make the transition from indoors to outdoors seamless. You’ll find materials, patterns and hues that closely resemble interior furnishings. And don’t settle for fabrics that feel like plastic. Innovations have led to outdoor fabrics that feel just as natural and plush as fabrics used indoors. Also, consider how you decorate indoors. Do you typically gravitate toward an oversized armchair and ottoman? A spacious couch or sectional? How about a daybed? You can bring those types of furniture outdoors. With similar furniture awaiting you outdoors, you’ll find even more reasons to lounge, entertain and curl up with a great book in the fresh air. 2. Natural materials. Nothing warms up a space like natural materials — or at least the look of natural materials. Teak coffee tables, chairs and dining sets have been trending in outdoor spaces. You also can achieve a bold, natural look with concrete side tables or coffee tables. However, not all “natural” furnishings need to be made from natural materials. Add the look of wicker to your backyard without the fragility of real wicker. Manufacturers have used the latest in technology to perfect the look of wicker and other natural materials using synthetics. 3. Soften things up with accessories. 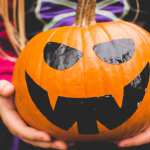 Don’t limit your imagination when decorating for the outdoors. Would you put a spacious rug in a living area inside your home? A few patterned, colorful pillows, candles, lanterns, blankets, vases? Artwork and mirrors? Curtains? Think of ways to bring the look of your indoor living spaces outdoors with those same type of accessories that have been designed for outdoor use. 4. Fire and water elements. If you’re not quite ready to invest in the construction of an outdoor fireplace, you have numerous options to add a fire element to your exterior space — even in tight quarters. For smaller spaces, consider a chiminea — a freestanding front-loading fireplace that typically features a tall chimney or vent. Larger spaces can accommodate larger freestanding fireplaces in a variety of styles. Again, think of your indoor design aesthetic when choosing an outdoor fireplace. Varying styles are now available to accommodate different tastes. Freestanding water fountains also have been a staple in many outdoor spaces. If an ornate concrete water fountain or birdbath immediately comes to mind, banish the thought. You have other options. Whether your design aesthetic leans toward contemporary, traditional or Zen, you’ll find a water element that fits just nicely with your surroundings. 5. Create “rooms.” Take a look at your interior living spaces. You may have different areas designated for eating, reading, napping or entertaining. Divide your spaces outdoors in a similar fashion. Consider the activities that are most important to you. Entertaining friends, playing games with your family members or finding a place to retreat for some “alone” time? Pick two or three and designate areas for those activities. Even with the smallest of spaces, you can create areas that accommodate your desires. By using rectangular planters filled with grasses as dividers, for example, you can separate spaces for reading and for dining and entertaining guests. When the sun goes down, you don’t automatically retreat to your bedroom to call it a night. Why should you with your outdoor living spaces? Add ambiance and functionality to your exterior space with the addition of outdoor lighting with these 3 ideas. 1. Create sparkles of light. Imitate the night sky with bistro lights, sometimes called string lights. Hang them along areas of your patio or deck to create a sparkling effect. Don’t limit the lighting to your patio umbrella. Try stringing these small lights, which look like holiday lights, along planters, fences and decks for varying effects. When entertaining friends for a dinner party, the addition of miniature lights can immediately create a festive mood. 2. Add outdoor lamps. In keeping with the idea of creating the same relaxing vibe of your interior spaces, add one or two lamps to your outdoor spaces. Choose from weatherproof table lamps, task lamps and floor lamps to light up your outdoor spaces. As you shop for options, you’ll find an assortment of styles — from traditional to modern — that fit your design scheme. 3. In ground lights. 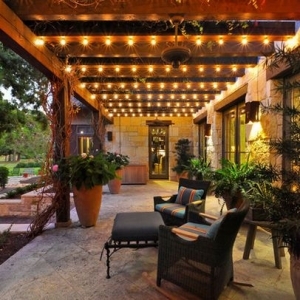 Uplighting using ground lights has been an outdoor landscaping option for decades. Not only do they create an ambient atmosphere, they provide a clear path for walkways and other paths. Consider new ways of using these ground lights. For example, you can use them to accent artwork on an exterior wall, a fountain or other areas of your outdoor living space. The planter represents another outdoor accessory that has received a significant upgrade in recent years. As with outdoor furnishings, the latest in planters can look equally at home in the interior spaces of upscale homes as they do outdoors. Choose from among contemporary and modern designs, as well as more traditional shapes, to expand the look of your indoor living rooms to your exterior spaces. 1. Create a statement piece. 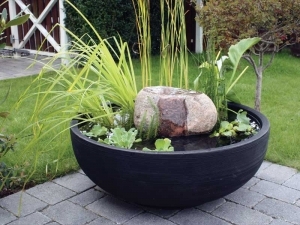 When adding a planter as an outdoor design element, consider creating a statement piece by planting grasses or tropical plants in a sizeable vessel. 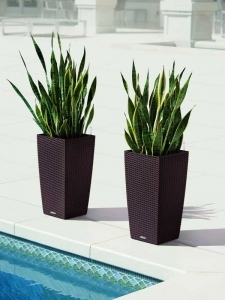 Select planters that are 4 feet tall or higher to create a focal piece. 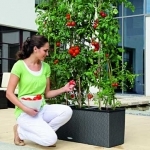 If you prefer a colorful or modern design, choose a planter in a glossy hue of red, black, silver or turquoise. For a more subdued and sophisticated look, choose matte finishes in brown, beige or grey. 2. Invest in low-maintenance options. 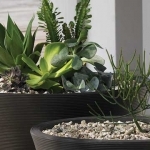 Innovations in technology have led to the development of resin planters that closely imitate materials like clay, granite and porcelain without the high-maintenance. 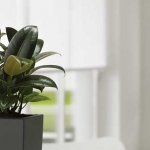 This means you can have the great looks of these type of planters without the need to bring them indoors during inclement weather, even subzero temperatures. 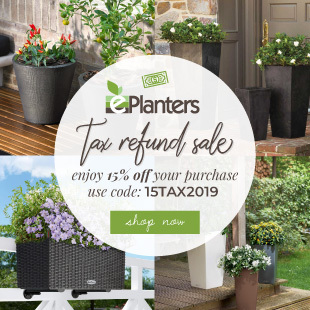 Add to the practicality of these planters by choosing extra accessories and features like wheels, self-irrigation, drainage holes and liners that keep maintenance to a minimum. 3. Use planters as room dividers. In the absence of walls, use rectangular, streamlined planters to act as room dividers. You can instantly create more intimate spaces with two or more planters. Your choice of plants, from low-profile grasses to big, bold tropical plants, can add to the sense of intimacy. When you start planning your outdoor living space, don’t forget to keep your indoor living spaces in mind. The qualities that you enjoy indoors — whether comfortable furnishings, stylish accessories or bold design — can be the same qualities that make your outdoor spaces inviting.